Dr Peter Kennedy PSM trained at Sydney University and undertook the Fellowship of the Royal Australasian College of Physicians. He specialised in Geriatric Medicine and was involved in setting up services for the elderly in inner Sydney health services. Dr Kennedy then took the position of Group General Manager at Royal Prince Alfred and Concord Hospitals before working as Director of Medical Services and Director of Clinical Governance in Area Health Services within NSW. Dr Peter Kennedy was the Deputy CEO of the Clinical Excellence Commission (CEC) until July 2015. The CEC is responsible for safety and quality in the NSW public health system and setting up system-wide programmes and projects to address major issues relating to safety and quality. 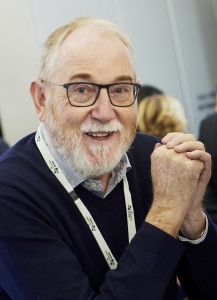 Dr Kennedy chaired the Steering Committees for the Electronic Medical Record, the Electronic Medication Management programmes for a number of years and in 2015 he transitioned fulltime to eHealth as Clinical Adviser to the Chief Executive, eHealth. His focus areas include Safety and Quality in IT, Research and Innovation.